A news release issued by Check Point Software suggests mobile devices now represent the biggest threat in the security chain; a potential problem for healthcare organizations operating a BYOD scheme. Mobile devices are now viewed as one of the easiest entry points into an otherwise protected computer network and are now the biggest enterprise cybersecurity vulnerability according to the report. Large healthcare providers should take note, as they are likely to be particularly vulnerable to attack, purely because of the number of mobile devices they have in operation. 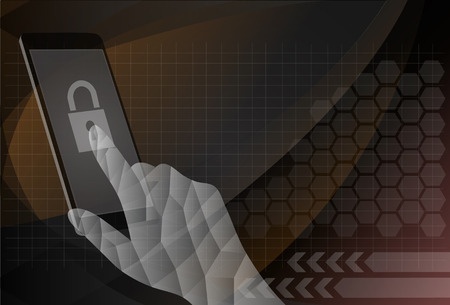 According to Check Point Researchers, organizations allowing 2,000 or more mobile devices to connect to the network have a 50% chance of at least six devices being infected or having been targeted by cybercriminals. 72% of IT professionals agreed that for the coming year, the top security challenge is securing corporate information; however in close second place (67%) was dealing with personal device security. Securing, storing and segregating personal and corporate data on mobile devices is a major challenge. This is the third annual software security report issued by Check Point. The company’s past reports have provided a valuable insight into the state of cybersecurity, as well as having helped to raise awareness of new data security threats. For the latest report, Check Point gathered data from over 16,000 Threat Prevention Gateways around the world from over 300,000 hours of monitored network traffic. Researchers determined that 96% of the organizations under study were using at least one high risk application; one that central IT departments had not authorized, representing a 10% increase year on year. These unsponsored and unsupported apps are highly risky, potentially giving cybercriminals an easy access point into networks. During the study, Check Point software identified 12.7 high-risk application events per hour, on average. With time pressures and inefficient systems, employees look for a way to save time. Unfortunately, while applications can allow employees to do just that, they can be highly vulnerable to attack. Malware is now being produced at an extraordinary rate, and cybercriminals are using botnets to spread the malicious software faster. According to researchers, 83% of organizations under study had been infected with bots during 2014. Another major data security concern is the rise in zero-day malware – malware that has not been seen before. Hackers are writing malware from scratch to exploit the many software vulnerabilities they discover, and zero-day malware is now appearing with alarming frequency. Data loss is still a major concern. Hackers may be looking to steal secrets to gain a competitive advantage, but alternatively they could be interested in sabotage and may delete data instead of copy it. According to the study, 81% of organizations had experienced at least one incident of data loss in 2014, representing a 41% increase from the previous year.